We often complain about cars. They’re expensive when you’re buying them and suddenly cheap when you’re selling. Dealers are taking a far too large part of the cut. How the same model can fetch strikingly different prices. Clearly, knowledge is key to buying and selling cars. At the same time, let’s be honest: How much time have you spent trying to understand car valuations? Did you know that there are quite logical explanations why the dealer will offer you a paltry price for your used car? And what do all of these different stars and percentages mean anyway? In this article, we’ll talk you through the art of the car valuation. We’ll show you what influences a car price and what doesn’t. We’ll explain the different valuation techniques and how online valuations measure up. At the end, you should be able to get a pretty good picture of how much your car is worth. Knowing how much a car is worth can be useful in many different situations. If you intend to sell your car, it will give you a better picture of how much to expect. Importantly, you’ll be able to distinguish between a disappointing, but realistic offer and a bad one. 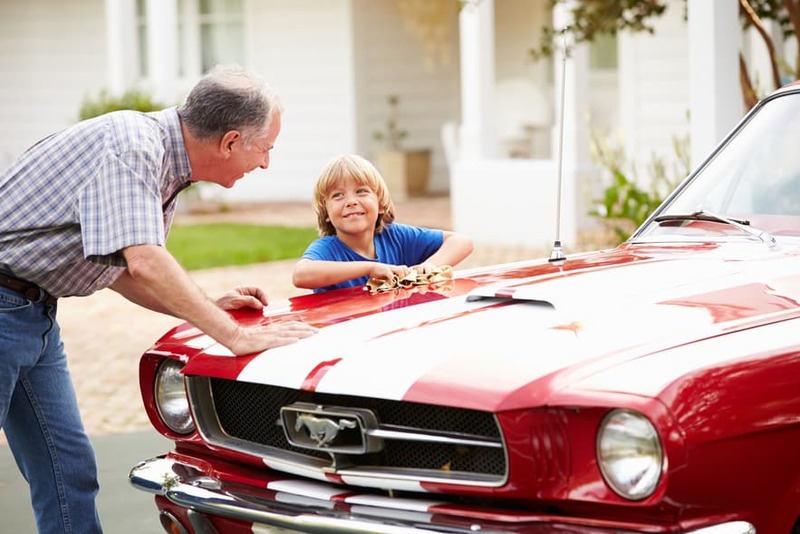 Understanding the true value of your car may even make you decide to keep it a little longer. If you want to buy a second hand car, knowing its estimated value is important in order to get the best deal possible. You may be prepared to pay a little more for a ‘safer’ purchase at a dealer,ship, for example. Especially so, if it is only a little more expensive than a private sale. Also, if a car is offered at an extremely low price, this may point to a problem, or even to holes in the car’s history. Just how much difference does a car valuation make? Sure, it’s easy to see that an almost factory new car would be rated higher than a ten year old model with a lot of wear and tear. In between these extremes, meanwhile, there is a pretty large grey zone. So what’s a ‘right’ and ‘fair’ price’? That is exceedingly hard to say. And intuition won’t get you very far. Professional valuation techniques can help you bridge that gap. In an expansive article, leading reference site ThoughtCo have convincingly demonstrated what a difference different valuations can make. $5706 for a perfect ***** rating. $5322 for a **** rated car. $4468 for a *** vehicle. Two star cars only fetch $3804. The value of a * car, finally, depends on how much repairs will cost you. So that’s a 22% difference between a five star car and a three star one! And do note that the latter will still be perfectly fine for most! On the other hand, you can significantly improve your driving experience by going from a mediocre 2 star car to a three star one – without breaking the bank. Confused yet? We know, it’s a lot to take in. But knowing about the concrete var valuation examples above can already help you a lot in taking a better decision. Valuing a car deals a lot with its condition, which is rather subjective. Depreciation, on the other hand, is about age and mileage, which are entirely objective. This doesn’t mean that car valuations are meaningless. Since cars are about emotions as much as they are about hard facts, a subjective valuation should always factor into the final price. A great place to learn about car valuation is the classic car market. Why? Because many classic cars are not even supposed to be driven anymore. What really matters is how they look, feel and smell, how much love the previous owner has poured into them and how much work will still need to be done. This may sound as though classic cars are sold on the basis of impulse alone. In reality, the contrary is true. Classic car lovers have, over the years, developed some of the most exact and scientific systems for appraising the value of a car. Among them, the 100 point system is probably the most widely used. The 100 point system is more of a guideline for juries at competitions rather than a vehicle check list with concrete steps. Nonetheless, there is a lot you can learn from it. For starters, it shows that car valuations are very much part of a continuum. Even in a 5 star system, there can be many gradations in between two stars – reflected here, for example, by the rather slim differences between a ‘fine’ and ‘very good’ condition. Secondly, the 100 points system shows what really drives car valuations. A perfect rating almost doesn’t exist. For this to happen, your car would need to be better than 95% of the competition out there. Are you really confident enough to stake that claim? Cosmetic issues are the first signs of wear and tear, so these will determine the price to a large degree. Another aspect is mechanical integrity. As long as the car is still running smoothly, you can fetch a decent price even with pretty heavy visible defects. Once drivability becomes an issue, however, the value plummets instantly. Finally, even for cars in the bottom half of the rating table, the value doesn’t immediately drop to zero. What matters is whether or not you can restore it to a decent condition – and how much this will cost you. Now we’ve established the playing field, let’s take a look at how things pan out in practise, away from the glamorous world of classic cars. The private party price. This is the price a car can fetch when sold through classified ads without the mediation of a dealer. These prices tend to be lower than the retail value of a dealer. But they tend to be higher than the wholesale price. This makes it an ideal transaction for both sides in theory. In practise, these deals are unfortunately a lot more risky, reducing their appeal. The dealer wholesale price: This is the price a dealer will pay to buy a car from you. It is usually the lowest price you can get for your car when selling. As we’ll show in one of the next paragraphs, this is not out of ill will. There are very good reasons why this is the case. The dealer retail price: This is the price the dealer will ask when selling the car to a customer. As you might expect, this is the most a car will cost. As of recently, we can add a fourth category to the equation: The price paid by online sites like webuyanycar. These are very similar to dealer prices, but can occasionally be slightly higher or lower,, depending on the car in question. As you will undoubtedly know, car dealers are a tough nut to crack. They tend to offer very low prices when buying your car. And they’ll demand very high prices when selling the car. This has seriously harmed their reputation. Today, car dealers are generally considered one of the least trustworthy professionals. That said, there are very rational explanations for how car dealers set their prices. Here’s a breakdown of their car valuation process, courtesy of Colorado-based auto brokerage firm autotrek.com. First, they will knock off roughly 3% to offer some room for haggling. Then, they will subtract their own profit. According to autotrek, this is usually a fixed sum of about £1,200. A vital step consists in repairing the car and improving its condition. To get a car from a two star rating or a three star rating to a four star rating can be quite a task! So this may cost in between £1,000 and £4,000. Just so they can bargain with you, the first offer by the dealer will be 15-20% below what they will eventually be willing to offer you. All in all, that can bring the original buying price down from £15,000 to under £9,000! At the same time, there is nothing mysterious or predatory about it. Including a bit of profit, repairs and haggling space, the final price is quite logical, in fact. Whether or not you’ll want to sell your car at this price, is another matter, of course. Knowing about these things can reduce the confusion surrounding dealer prices. Now you know the logic behind the dealer’s reasoning, meanwhile, it’s even more important to be aware of ‘official’ valuations. 5 stars: These vehicles feel as good as new, from the engine to the tyres, which show no visible signs of wear. The paint does not show any imperfections whatsoever and the documentation is flawless. Needless to say, cars like this don’t really exist. This category is more of a yardstick against which to measure the remaining star ratings. 4 stars: This car valuation category describes cars that have aged according to expectations and are in an otherwise excellent condition. You may see a few flaws here and there, both on the in- and outside. But generally speaking, the car looks great. Many used models sold at dealerships will be 4 star cars. 3 stars: As soon as you start talking about bigger or smaller ‘problems’, we have to make some serious concessions in terms of the price. Think dents, scratches, a worn look and worn tyres. This doesn’t mean the car won’t drive properly anymore. But clearly, it has aged a little more than it should. 2 stars: Now, we’re dealing with mechanical problems. Many 2 star cars will have undergone major repairs at some point. Its chairs and upholstery will no longer look very nice and there may even be signs of rust. You will need to perform some repairs or replacements to insure safety and drivability. What about accidents or major repairs? Past accidents or major repairs should not, on paper, have any effect on the value of a car. After all, what matters is its current condition, not its history. That, however, is not how the market sees it. If you’ve experienced any kind of serious issues with the car, this will almost certainly reduce its value. Even if the vehicle looks okay, potential buyers will always feel as though past problems increase the risk of the car breaking down again. As a buyer yourself you might feel the same way. So how much will the value of a car drop because of this? There are online value loss calculators that can answer that question for you. To avoid radical price drops, experts recommend taking a picture of your car before and after the repair. This can help your case, as buyers can see that the damage was really not as bad as they might imagine. The 5 star system offers an easy to understand and universal approach to car valuation. Of course, this rating tool in itself can do the work of selling a car for you. And for many drivers, approaching a dealer or trying to place a classified ad for their old car is still highly unpleasant. Which is why online car valuation websites have taken off in the UK. They promise a quick, easy and most of all friendly appraisal process. All you need to do is enter some basic information and you’ll instantly get a rough indication of the current value of your car. This price is slightly more accurate than what you would get at a more static website like Parkers. After all, online valuation tools may include indications about the condition of the car. But they can obviously not replace the eyes of an expert. This is why you should still drive the car to a nearby garage. Here, a mechanic will take another look at it and either confirm or adjust the original valuation. As mentioned, the process of selling your car through a website like webuyanycar is surprisingly agreeable. There is usually very little room for haggling here. 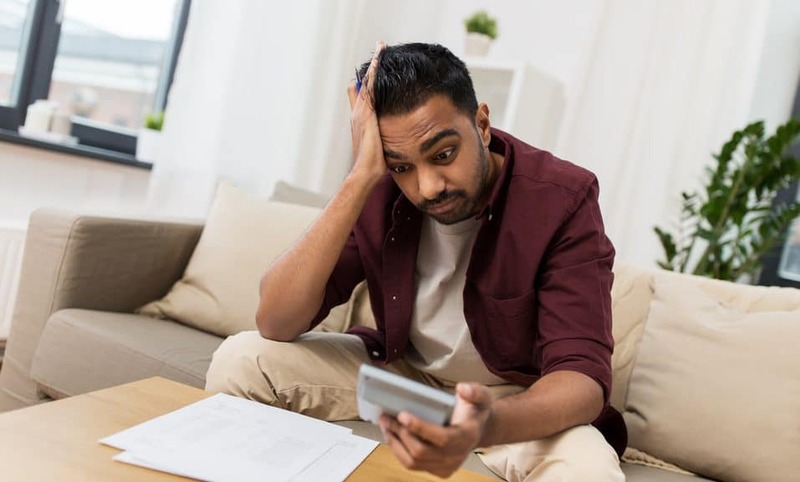 It’s a take it or leave it situation, which can actually make you feeling a lot better than the more competitive process of a dealership purchase. Prices with online car buyers are a mixed bag. They can be slightly better than those of a dealership if you’re experienced at bargaining. For more experienced sellers, they will usually lead to worse prices, however. For the market as a whole, these websites have probably have had a positive influence. If only because they have made selling your car a lot easier and pleasant. And if you’re buying, online car sales will undoubtedly lead to an even more diverse used cars market. When a dealer sells a used car, a lot of attention goes into fixing and cleaning it. Why? Because even seemingly trivial improvements can raise the price of a car significantly. A new paint job is usually not worth the effort, unless your car’s riddled with scratches or rust. Instead, apply professional wax and give it a fresh new shine. If done properly, this can make it look as good as new. Replace damaged floor mats and clean the entire inner space of the car. Experts also recommend checking if you can find new chairs for the front. Some scrap yards will offer great looking models at very affordable prices. 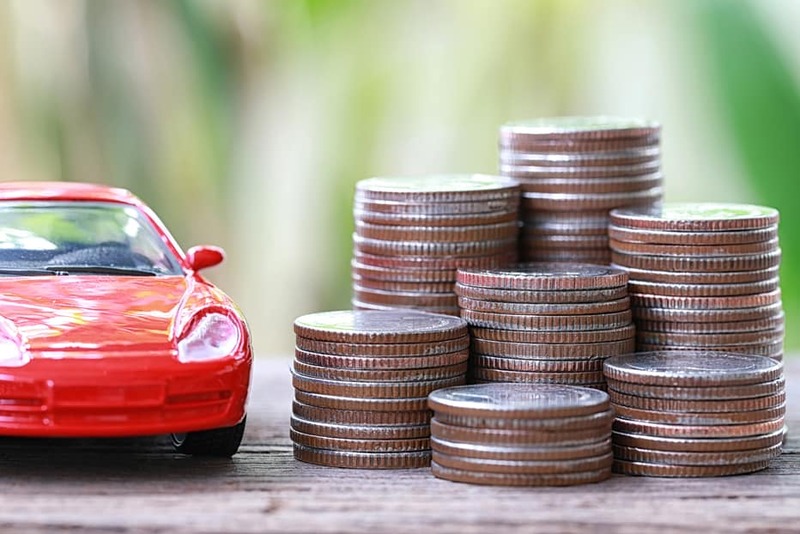 What else can you do to improve the value of your car? Selling it at the right time of year, for one thing. SUVs tend to do great at all times. But a sports car or convertible will definitely trade for more in the time leading up to the Summer. Still confused? We’re here to help. Our experts at CCC can shed some light into car valuation and car finance. Check our showroom for the latest models we have on offer. Or give us a call – we look forward to hearing from you!